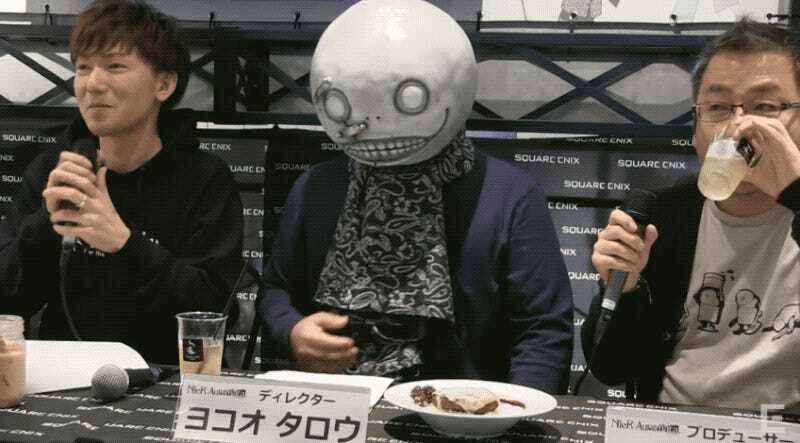 Is Yoko Taro really going to take off that mask and reveal his face? Nope! 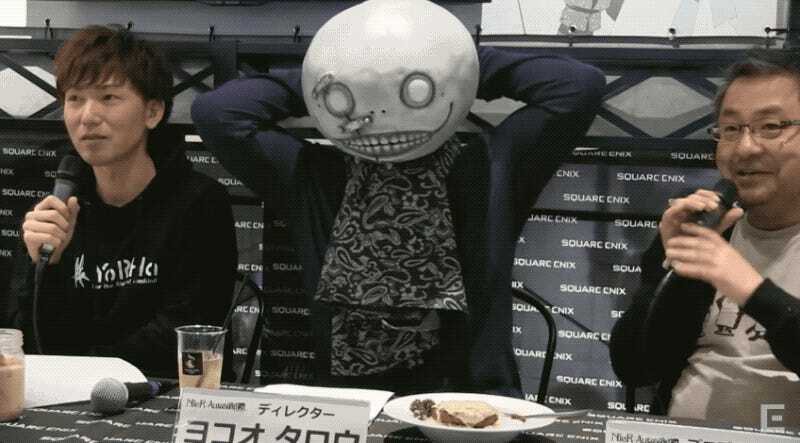 That isn’t the mysterious Yoko under the Nier mask, but Platinum Games’ Hideki Kamiya. Yoko helmed Nier: Automata, of course, with Platinum developing the game. 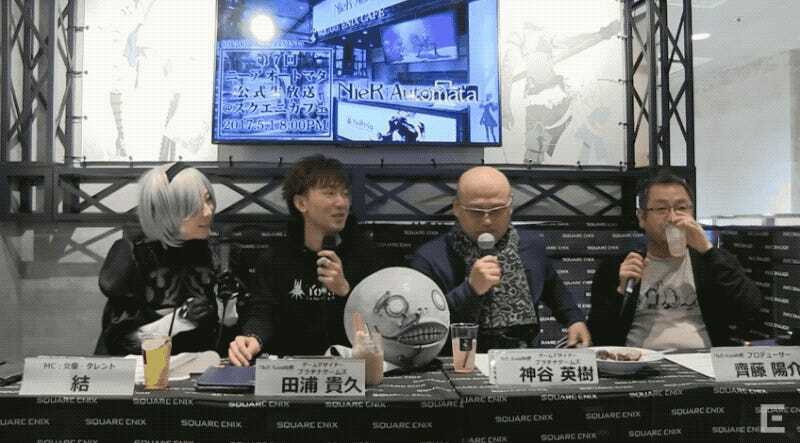 Kamiya agreed to appear on the title’s most recent live stream at Square Enix Cafe. However, he was hidden under the mask for a good twenty minutes, pretending to be the mysterious game designer—and doing a humorous job gesturing as the real Yoko spoke off camera. 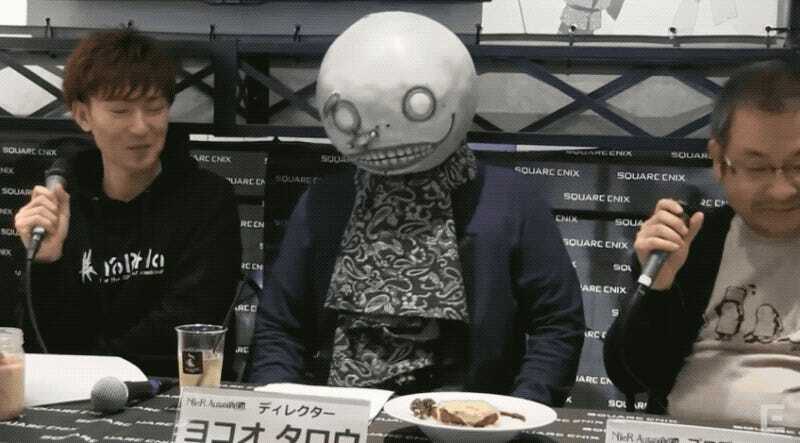 Then, the food came, so the other team members agreed that it was time for him—Yoko Taro—to take off his mask and show himself. They asked people if they really wanted to see what was under that covered mug. And then he pulled off the mask, revealing... Hideki Kamiya. “Nice to meet you, I’m the director of Nier: Automata, Yoko Taro,” Kamiya said. For a split second, it didn’t quite sink in! So Kamiya put on his sunglasses. 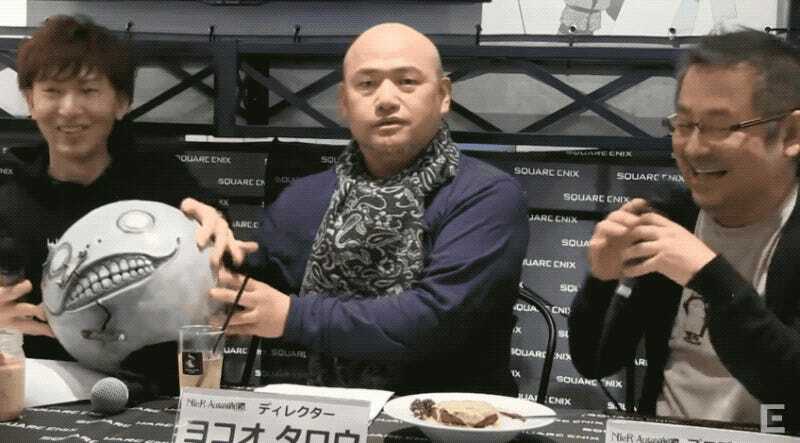 “For me, this kind of experience is a first,” Kamiya said as it was pointed out that the Platinum Games creator was all sweaty.